St Johns Ave, New Town. Google Maps. 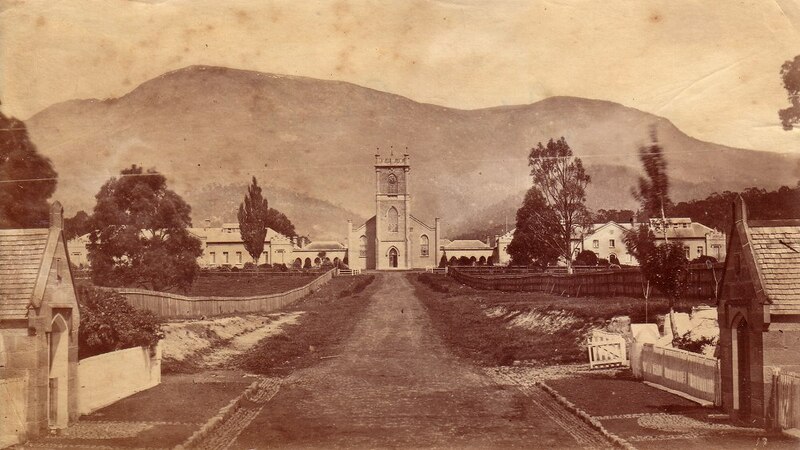 The church is flanked by the buildings of the King/Queen’s Orphan school which were opened two years earlier. 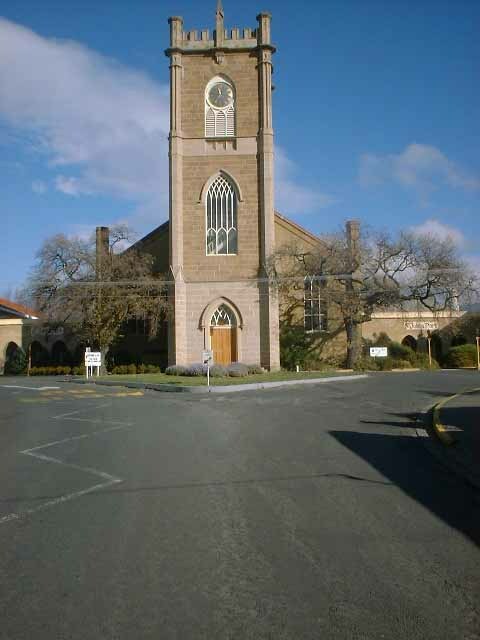 Opened 1835, to provide a second Anglican church for the residents of Hobart Town and surrounds. Friends of the Orphan Schools: background, interesting photos (inc. inside of tower) and associated buildings. St Johns Avenue leading up to church, with orphan school on either side. (c. 1880, from my collection).